IOS App Developer: Hibooks, Inc. When I first started using this app it was great. I highly recommended it to family, friends, and colleagues. Unfortunately, it took a turn as this “coin” system appeared. I regret having recommended to anyone. I can see the feedback on the reviews that the customer feedback regarding the abrupt and significant changes are falling on deaf ears. I, along with others, will seek out alternative solutions. It is unfortunate you lost your original purpose. I was really enjoying the app at first,I thought unlimited is GREAT! I go through audiobooks quickly as I always have them playing throughout the day whether I’m driving, working, cleaning, etc. So I browse through the library and save books Im interested in for the future so I can go right to it. 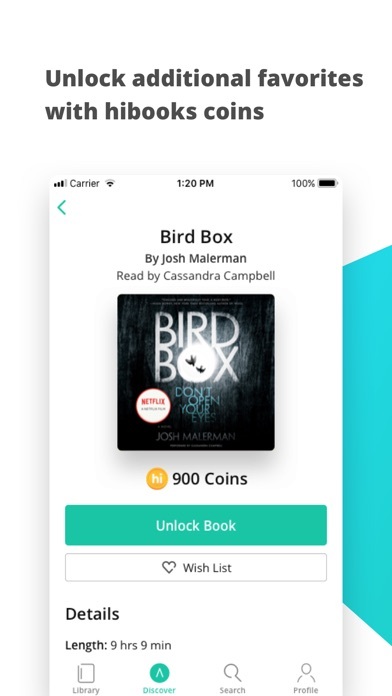 I noticed these “coins” and time clocks showing up and some books I had saved in my library I no longer could listen to for free. So I began downloading the book before I read them, with hopes that I would “get them” before I had to pay an additional fee. It worked for awhile but now nearly all the books I’m interested in, I have to pay an additional cost for. I don’t like that. It’s not the “Netflix” way. Netflix doesn’t make you pay an additional cost to watch “new“ movies. They simply up their membership fees a couple of bucks and call it a day. But I guess that method did not seem practical to the “hi books” team. It’s unfortunate because I liked the app before I got, what I feel is pretty close to being, tricked or baited into believing the books on the app were unlimited. I have decided to cancel my subscription. So many issues with this app. At first it was good but then one day they randomly canceled the sample audio. Then a few months later they changed my subscription to 5.99 a month. 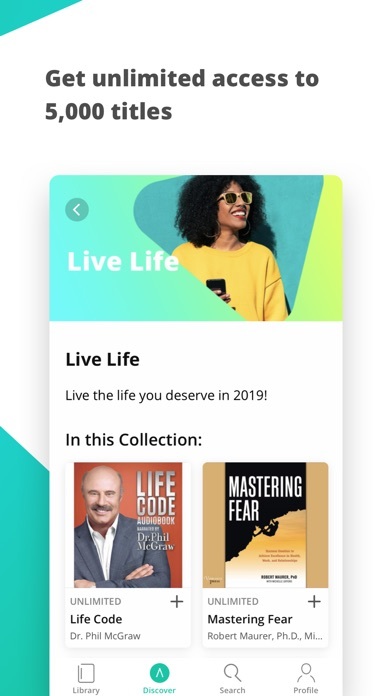 I thought this is good until I found out they became like audible where you have to pay the membership and purchase each audiobook separately. The only difference is that you purchase the coins. For instance, 1000 coins could cost about 13 dollars. I might as well have an audible account! An app I fell in love with quickly became an app I despise. They cannot be trusted because they make so many changes without giving you the option. I would much rather pay 9 dollars a month and have access to all the audiobooks they have available. It’s not a Netflix for audiobooks! When I first started using hibooks I looooved it. Then I just tried to a 3 day trial and realized they had totally changed the way you listen to books this made me so upset so I canceled my subscription and low and behold it is charging my account. I’m very upset since I don’t want this service any more but apple won’t give me a refund. Very disappointed in the changes and I’ve now thrown $30 in the trash. I enjoyed hi books for a very long time. But then they decided a monthly subscription like Netflix wasn’t good enough, and they completely ruined it. Basically you pay a subscription for nothing. And then you still have to pay for audiobooks if you want to actually listen to them. Complete rip off. Now I pay for membership AND coins?? Lived the app when it was Otto Radio. Was happy to pay the monthly fee to rent audio books. It was truly the Netflix of audiobooks. A few months ago, they changed everything, except what they’re charging me. I came to the app to look for a book I was interested in, only to find it cost “1000 coins” to unlock. They hadn’t communicated this change so I had no idea what that meant. What I found was that my monthly membership was now useless. The monthly fee got me a minuscule amount of coins each month. I would need to be a member for over a year at $6/month to get enough coins for a single book. I still had to buy coins to get access to any book I wanted to listen to. So what exactly am I paying for. Super shady to make this drastic a change, not communicate to your customers and just continue to take their monthly membership fees for essentially nothing in return. I guess it’s back to Audible for me. Another edit: even better, as soon as I hopped into the app you offered me three days trial and then effing CHARGED ME FOR A YEAR?! I’ll be issuing a complaint now. Never coming back to this app! Edit: I came back to the app some months later like my review prior said I would. And I was highly disappointed. At first I was confused why the prices jumped up to 29.99 until I realized it was a yearly subscription. That much for unlimited audiobooks? Count me in! Until... I saw the coin system. What the heck did you guys do? You’ve effectively made this app more expensive than audible! Every book I had saved prior is now on a wishlist and each one costs around 1k coins. I totaled it up and that comes out to about 15 bucks an audiobook. That’s the exact same price as audible... minus the yearly 30 dollar fee. Why would I pay 30 a year just to turn around and pay the same price as your competitor? That makes zero sense. And based on the other reviews I’m seeing even the unlimited books have limits now. Your app had great potential and I was really hoping after the organization issue was addressed I could find reason to come back. But now I’m likely not to come back because it’s not worth the money anymore. Very disappointed. First review: An app that is cheaper than audiable and offers unlimited audiobooks holds a great promise. Even when trying this app I could see all the potential. Unfortunately, there are some things holding me back from subscribing. -searching for books is difficult on the app. As another user noted, searching for Stephen king produces hardly any books and you have to sift through most all available books to find any. Most users don’t want to take the time to do this and it makes it seem like you don’t have these audiobooks even when you do. - to further the search-ability of books, having links to author and series pages from the main book page (I.e the stand by Stephen king) to show the available books by the author (all books available by Stephen king) and the series( book one of two etc) would be beneficial. - an option to select the chapter list while in book, allowing you to seamlessly jump between chapters in case you miss one. It also shows users how many chapters are left and how long they are. - a timer showing how much time is left in the entire book. Its nice to see if I have two hours or nine left in the entire book. -more ways to sort your saved books such as sort by author name. These are only the few for me (I’ve seen bookmarks being mentioned by another user, but I don’t normally use these) and if these are added in time, your app could become a great competitor for audible. 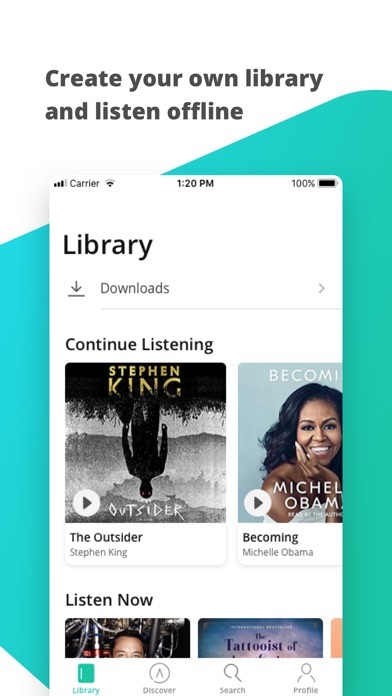 9.99 is a fair monthly price for unlimited audiobooks, but since the app is still in development, a few more tweaks are needed to make it worth it. I really hope to come back to the app after these things have been, hopefully, fixed and added. Started out fantastic but now the unlimited books are lame; they changed how it all works without telling anyone and their excuses aren’t plausible. Dumped it. I rarely write reviews. I am writing this, because I used to really like this program. What brought me in was the flat monthly rate and unlimited audiobook listening. This was AMAZING! There was not anything else like it out there. I truly enjoyed the service. Then, all of a sudden they changed everything with no notice at all. They went from an “all you can eat buffet” to an “a la carte” model. It is now much more similar to Audible. What brought me here was the uniqueness in the business model, but not it is just like most other audiobook services. The coin system is confusing. They aren’t too up front with how it works and what you’ll get. I truly wish they could revert back to their old model. I would be happy to pay a higher subscription rate for that service. As it is now, it is close to audible and the app functions very well. There are no functional problems and the selection is pretty good. It is my hopes that this review can get the attention of the HiBooks team and for you guys to strongly think about your model and what makes you unique. You had something really cool going. 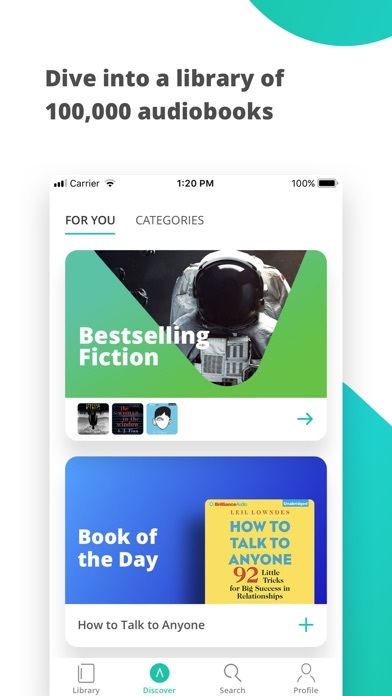 More IOS Apps by Hibooks, Inc.